Core 4 stove. Initial impressions. 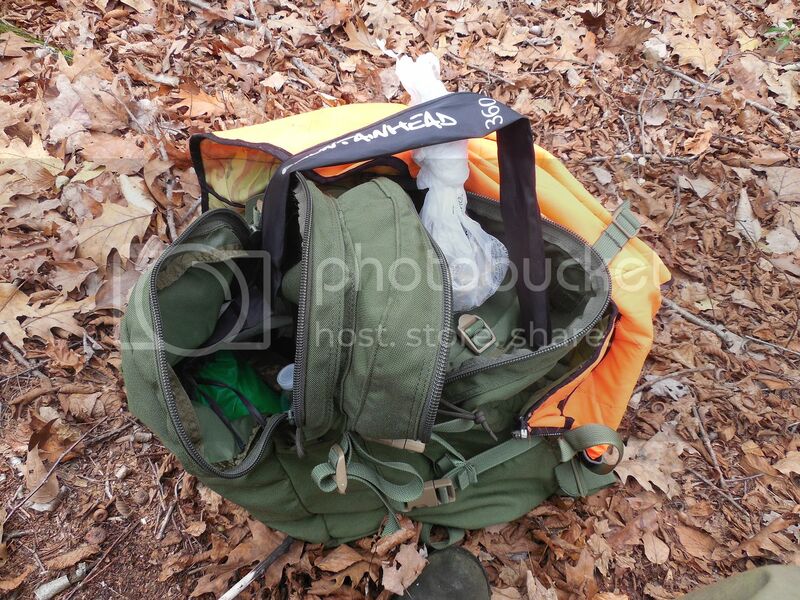 Before I take any gear item into the woods, on the trail or added to my preps it gets tested in the yard. I don't want to be setting up something for the first time when needed. So here are my initial thoughts on this stove. First I want to get one thing out of the way. I own a SS Emberlit. It's a really nice stove. The Core 4 is different enough that IMHO it's not a knock-off or copy. Here is the maker's site. 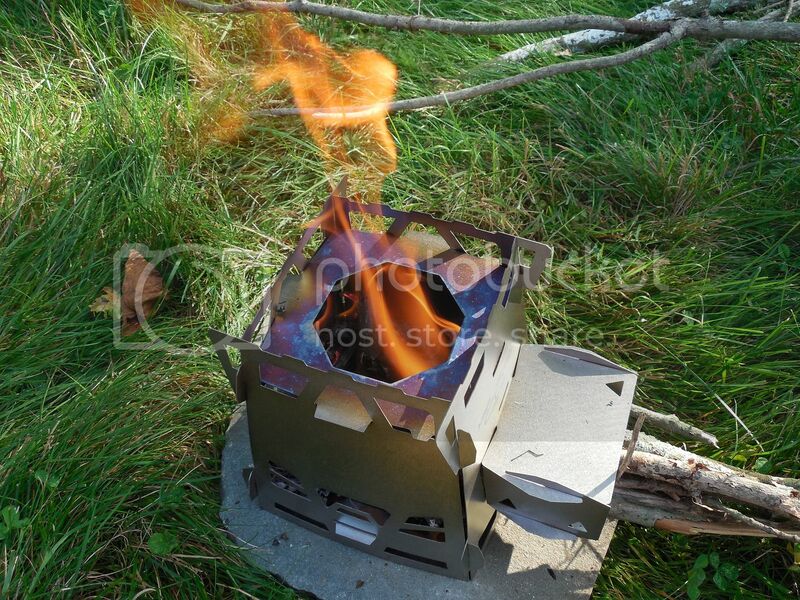 The stove is a take down type which allows for multiple configurations including wood gasifier modes. 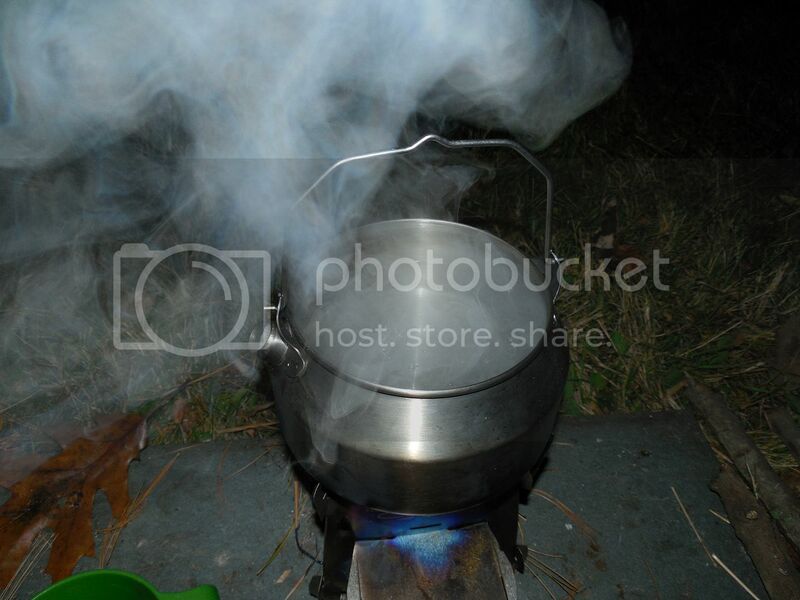 Also has the option to act as a support and wind shield for Trangia alcohol burners. The weight varies with each mode. 4.1 oz if using 3 walled Ti to around 11 oz for most of the additions. 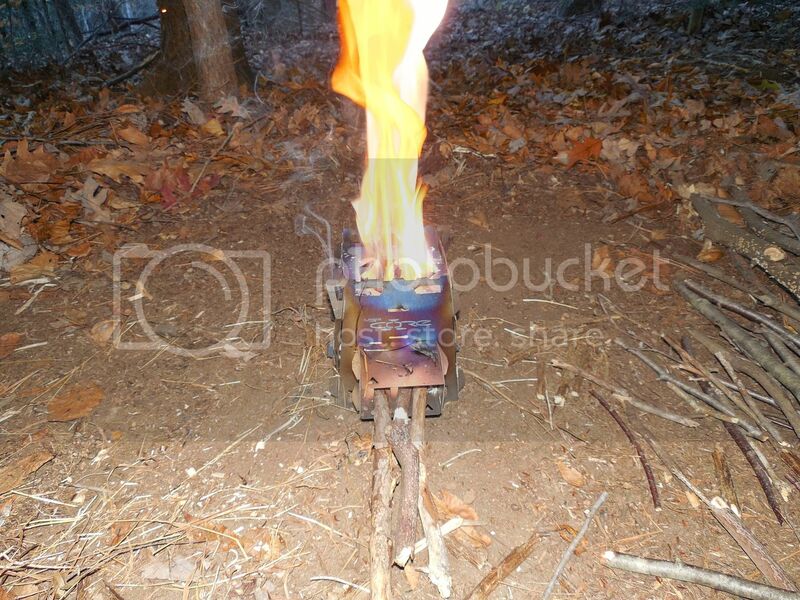 First burn using rocket port, after burners and top plate. Seemed to burn clean. Tossed the grill on top then boiled water. I didn't do an official boil time but it seemed fast enough. Up next was 3 walled gaisifier top feed mode. 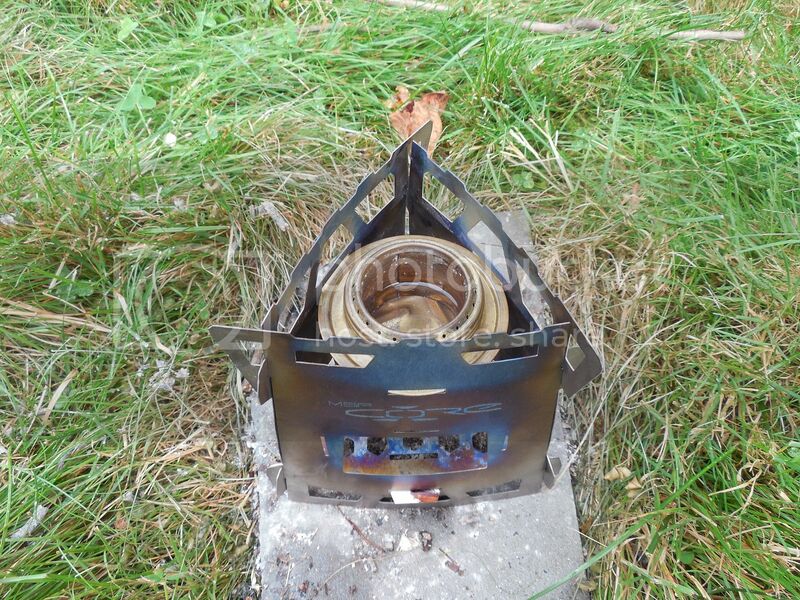 The Core can fit a Trangia burner in both 3 and 4 plate modes. When using only 3 sides it doesn't require the upper plate. Lets give it a try. 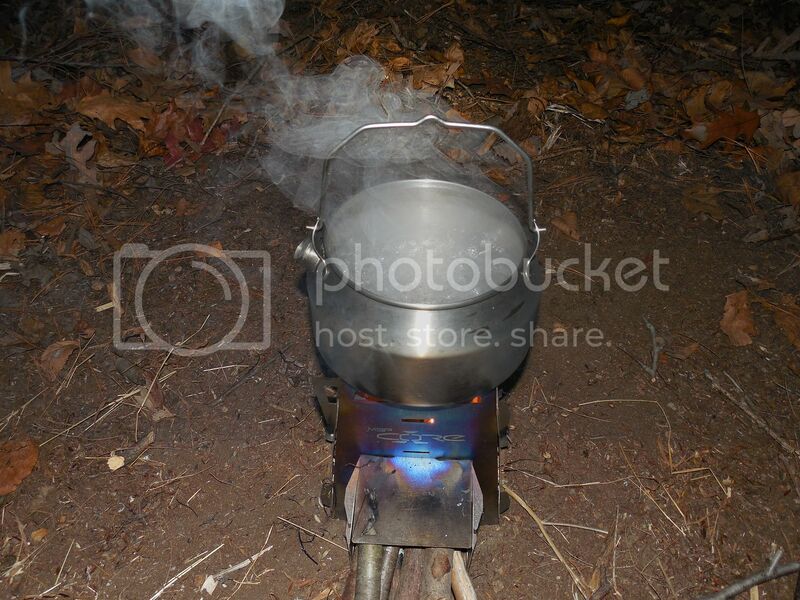 I am using a hiker Trangia burner. I don't believe it will fit the military version. Snow Peak 900 mates well with the Core 3. Unfortunately my batteries died but did achieve a boil fast enough. There was a thunderstorm brewing that produced moderate winds. The storm was a near miss, the winds did push the alcohol flame around. Compared to a full windscreen it was lacking however better than nothing. As stated this is an initial impressions review. 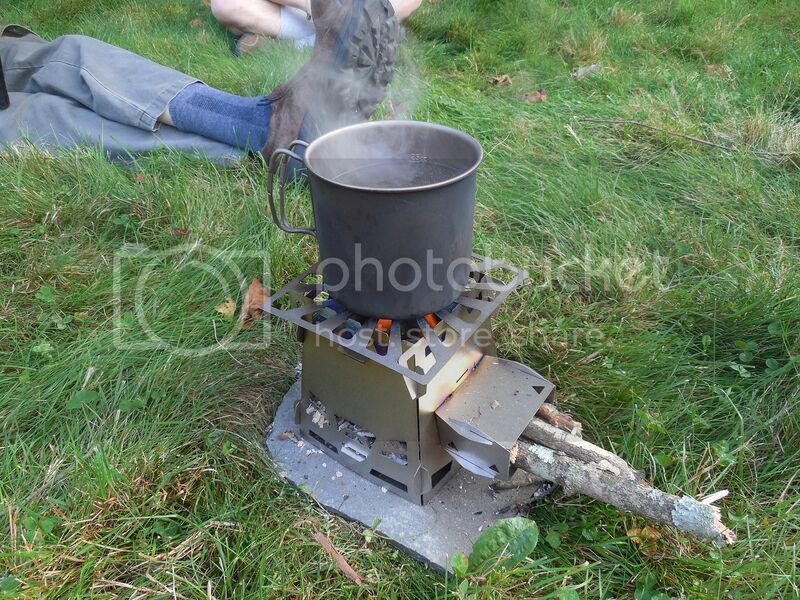 I will make a video update when the stove is used in the woods. So far I am impressed at how UL the CORE system is for it's size. Goes without saying this is achieved by thin stock. That said the stove feels sturdy once assembled. Speaking of assembly with all the goodies it's a bit tricky but gets better by the second go. In simpler configurations it's easy. Will update this review once I get some more experience under my belt. 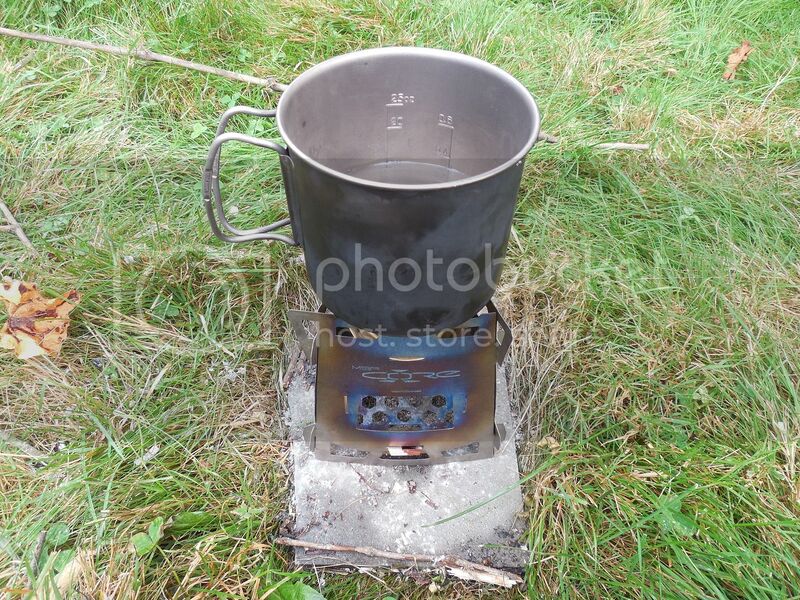 Re: Core 4 stove. Initial impressions. Thanks for posting a review. There's not much out there about the core stoves. One of the things I'm curious about is how much time it takes for the stove walls to be cool enough to handle and pack away in a backpack. Skuldugary wrote: Thanks for posting a review. There's not much out there about the core stoves. I didn't time it but seemed very fast. Woods Walker as always you provide an excellent review of a pretty sweet piece of kit. I also managed to grab up the Core Stove from the Kickstarter offereing and found much the same in my experience. The three wall design did not gassify as much as I had hoped, but did easily fit a smaller 700ml pot on top. According the site, and instructions it would have been better to use the solid door cover with the Core 3 assembly to help the draft. The Core 4 was a rocket. 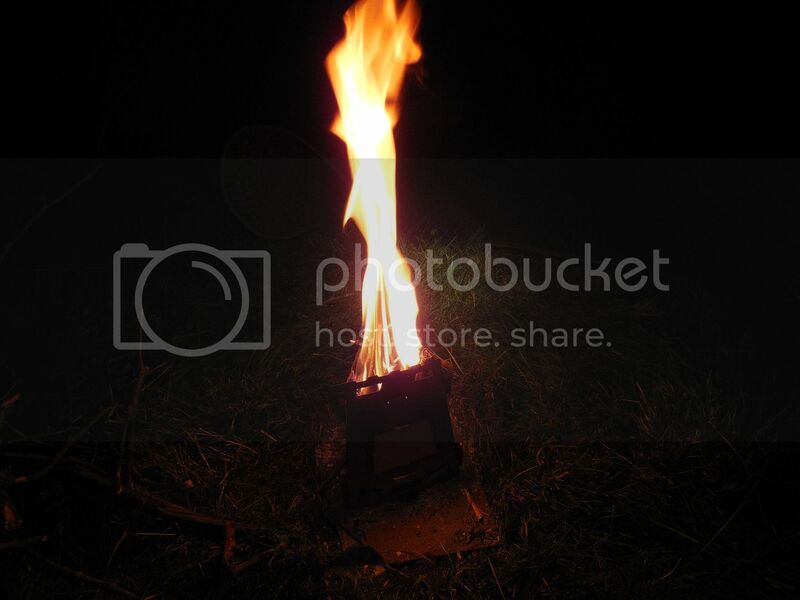 It worked pretty much as well as a Solo Stove. 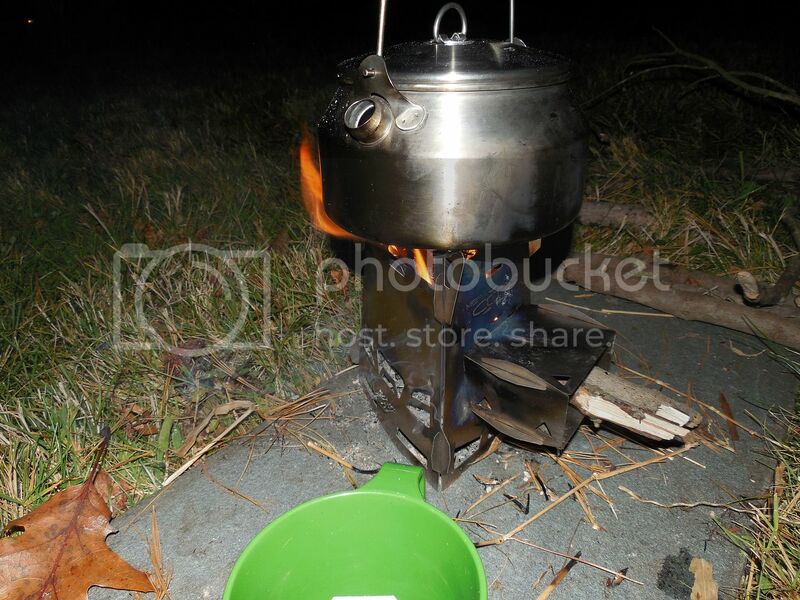 The only major complaint on my side was that you can't use a small pot without the grill. My 700ml titanium mug fully fit inside the Core 4. Overall it was a great stove with a bunch of options. Assembly did take a minute, but after a few goes it was easier to manage. I'd say considering the clean burn, the extra assembly was worth it. Here is a quick unofficial boil test video I put together. Umbrella wrote: Woods Walker as always you provide an excellent review of a pretty sweet piece of kit. 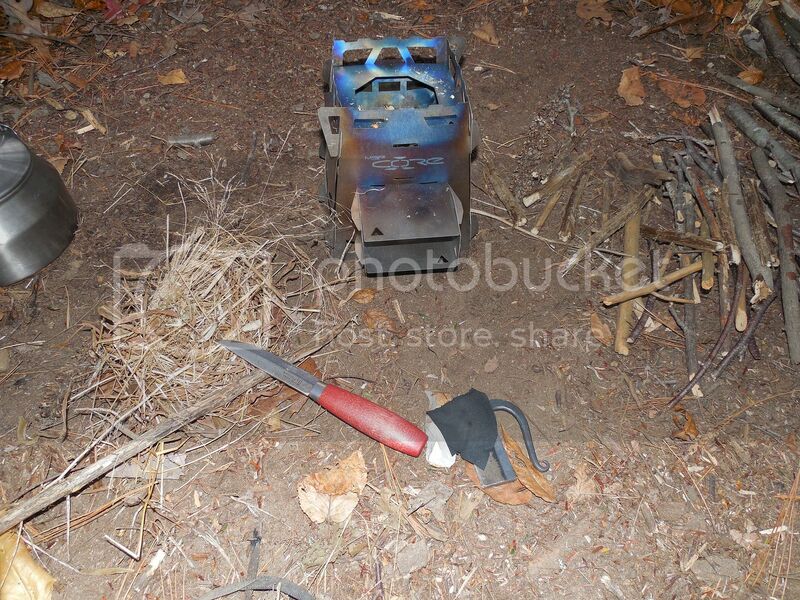 I also managed to grab up the Core Stove from the Kickstarter offereing and found much the same in my experience. I used 3 after burner plates and the door cover when testing the Core 3. I intentionally overstuffed the firebox. Have no way to measure how much gasification was going on but it did burn better than expected given the small amount of available firebox space. I don't think in either mode it's as good of a gasifier compared to purpose made wood gas stoves but feel the after burners help. 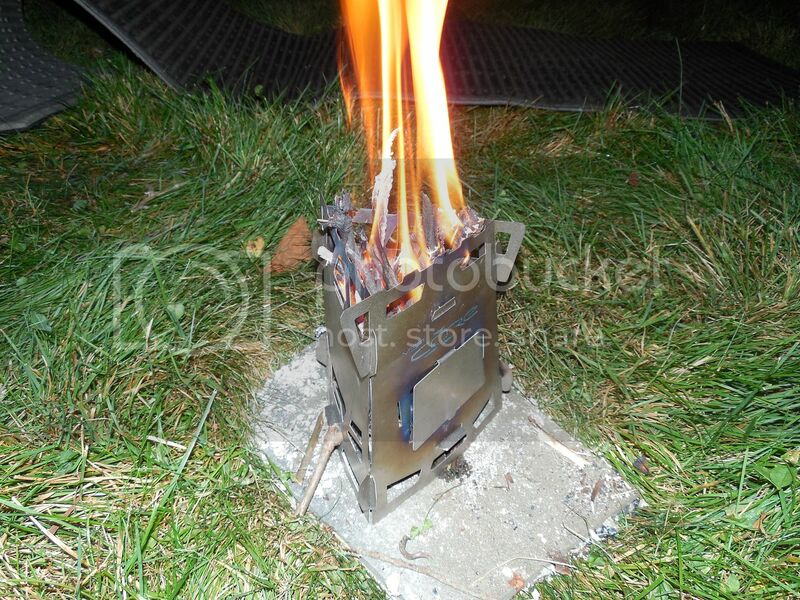 Woods Walker wrote: First burn using rocket port, after burners and top plate. Okay, so that picture right there, thats the Titanium base stove, plus the add-on rocket port, the add-on afterburner, and the top plate? The fact that they sell every piece of metal individually is great for keeping it running, but kind of confusing when it comes time to figuring out what to buy. Whats it weigh in the full-up configuration like that? I agree it's confusing to buy. Heck I changed my order from a Core 3. Mine is like the 85 dollar kit but lacks one afterburner plate, has 3 and doesn't have the lower heat shield. For pure utilitarian use the 40 dollar UL Core 4 UL version looks good. Plus that come with triangle plate to become a Core 3 which is crazy UL. I am going to up date this review soon with some burn tests without the gasification parts. Each version is just a different combination of parts. At a later time parts can be purchased in either Ti or SS. I think my stove setup with all parts is probably under 10 oz as lack some parts from the 85 dollar kit and would not carry others like the triangle plate if packed unless running a Core 3. I will toss it on my postal scale tomorrow. Tell you on thing. In Core 3 UL configuration it's stupid UL. 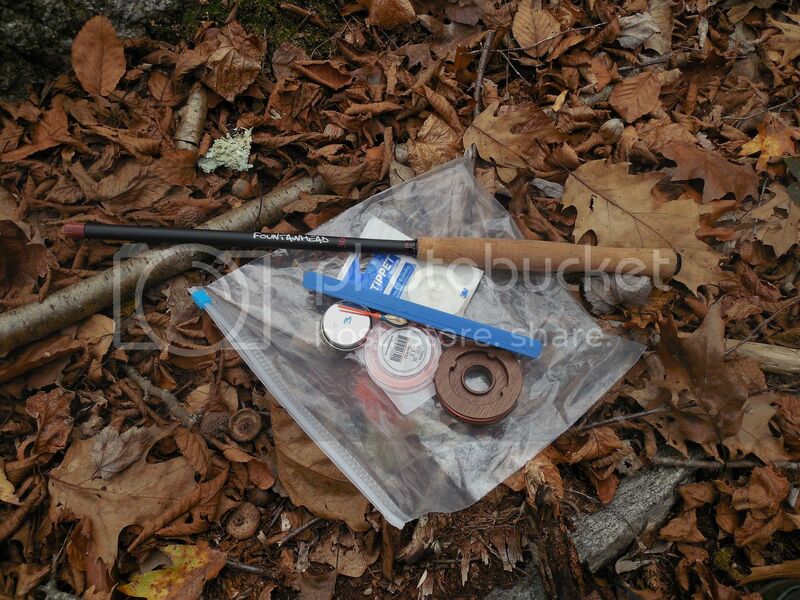 Probably the setup I would take on a thru-hike if the chance should ever arise. I dunno man the thing that makes this stove unique and interesting to me is that it does the rocket stove thing. 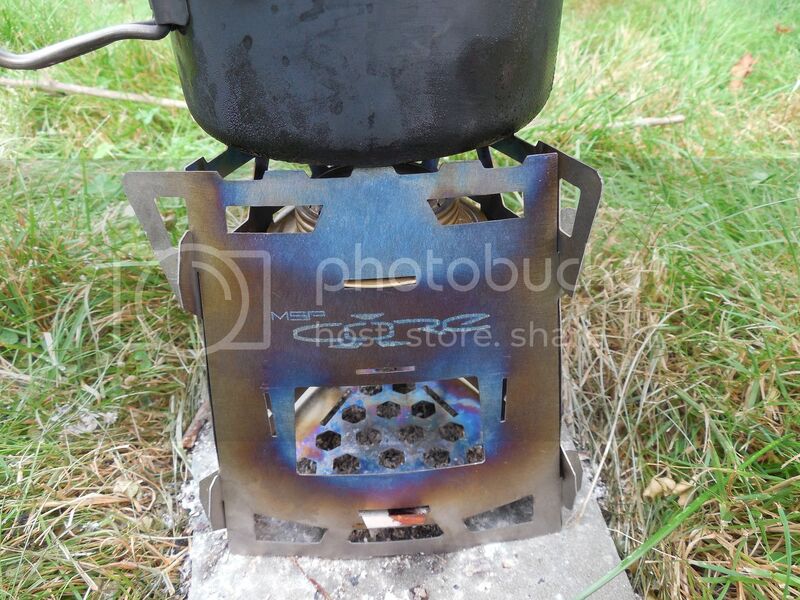 I can get a titanium hobo stove from anyone, its the gasifier that has me intrigued. I guess I dont understand the afterburner plate, its not just one plate? Each side can attach it's own afterburner plate which acts as a double wall with air drawn in then heated and forced upwards. So there would be 3 plates if burning the stove feed from the bottom in the Core 4 mode. I would imagine that if feed from the top 4 afterburner plates plus a door flap could be added. 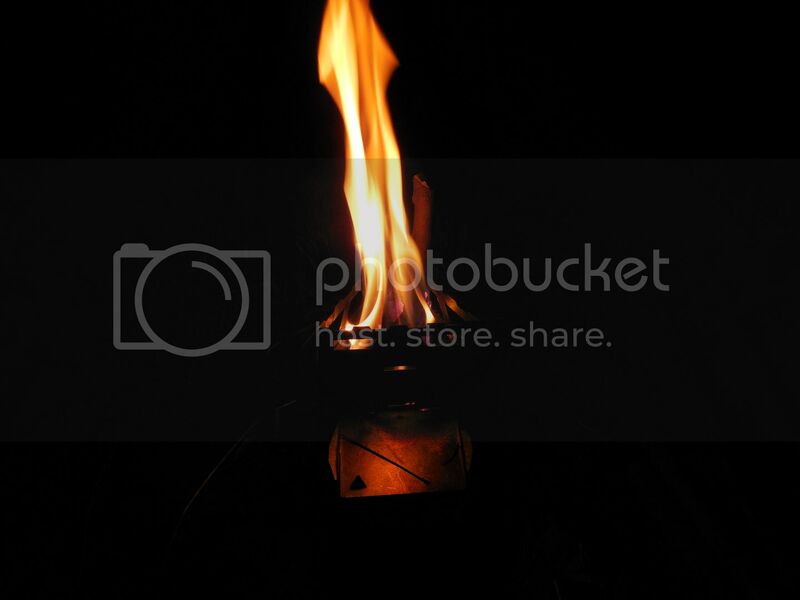 The top plate with large hole focuses the flames and reflects heat. That reflected heat combined with heated air from the inner wall seems to produce more complete combustion but this is based on initial impressions. 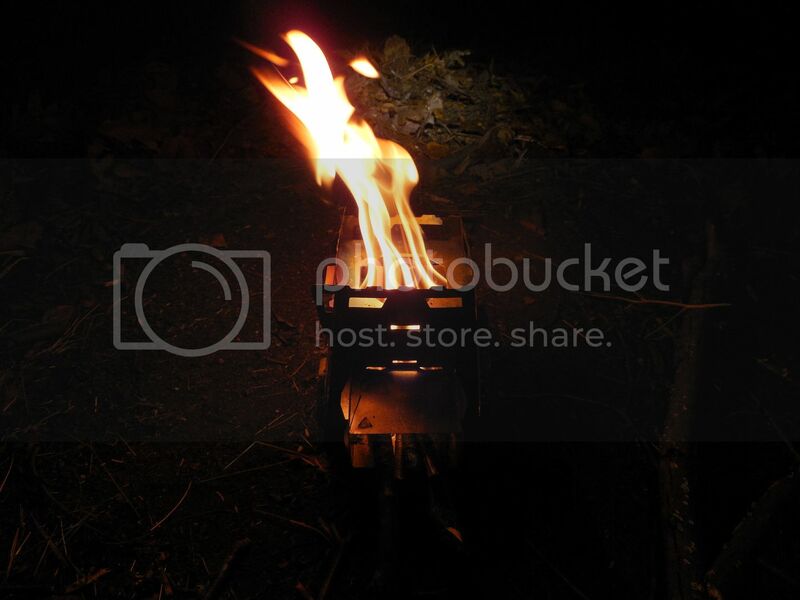 I know from making my DIY tent stove system the increase in output from burning the fuel escaping out the pipe is great. Less blueish smoke more clear or white. What I don't know is how much the increase is with a take down hobo stove compared to simply running it without all the gasifier parts. There are real world advantages and there are internet pseudo advantages. A marginal increase might not be worth the extra weight, expense and setup time. I will know more soon. 11.2 oz including top grill in the heaviest setup. 4.6 ounces in the most UL configuration, both weights per my digital postal scale. 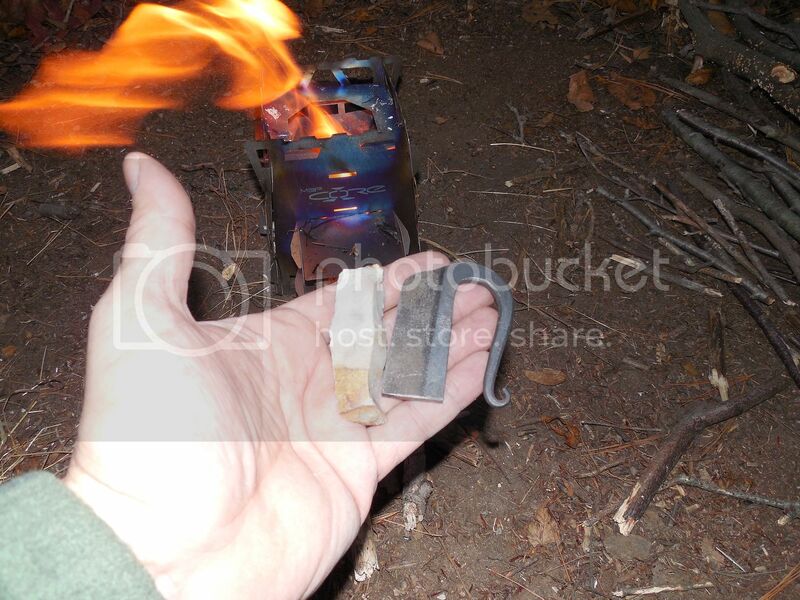 Flint and Steel is an enjoyable method to light a campfire but dealing with a flaming tinder bundle in your hands all along trying to light a wood stove can be a bit dicey. Or is it? 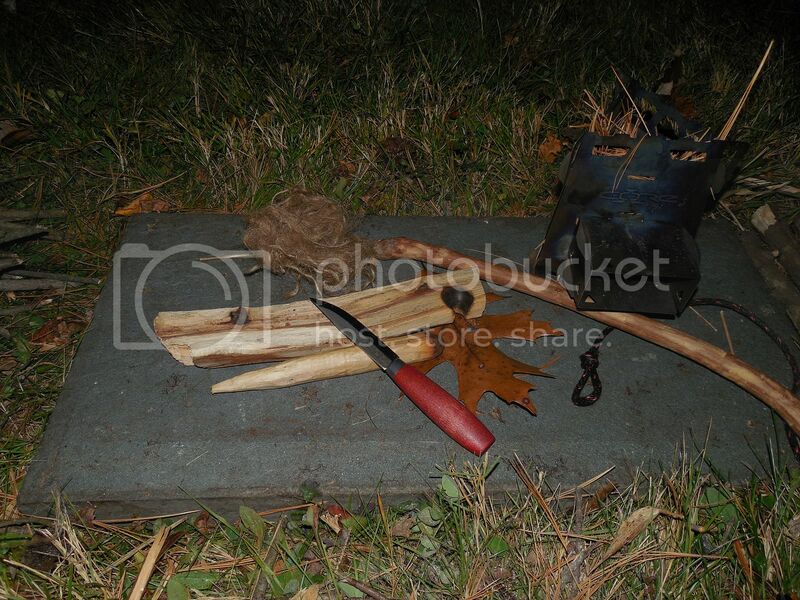 Stuffing a stove with Yellow birch bark should get things going till the sticks can be added. The tinder bundle alone could fail or maybe not. Better to error on the side more FIRE! Found some during the search for tinder bundle materials. Scrounged some taller grass and weeds. To be honest grass isn't my preferred tinder bundle material. Sometimes it takes off easily other times not so much. Maybe it's just me? To mitigate that variability I used mullein which was found near the grass for a coal extender. If yea have enough coal extenders I think mud will ignite. 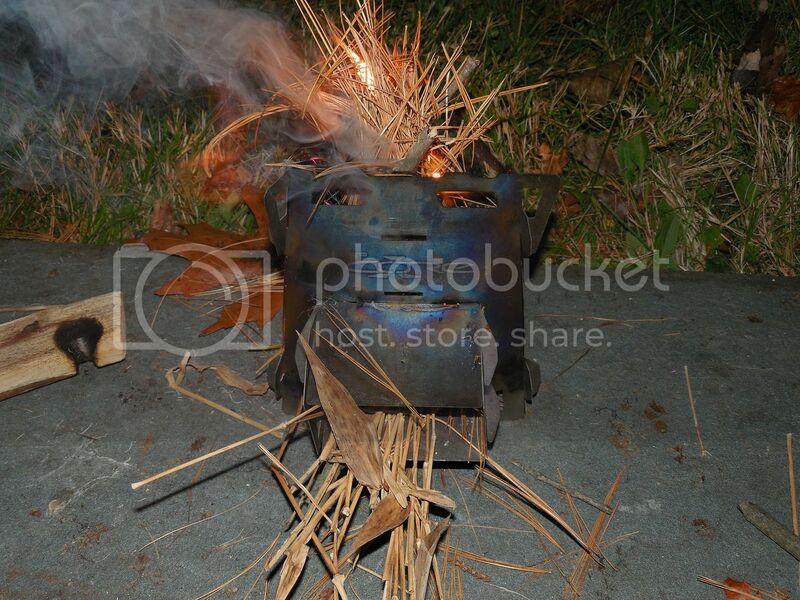 I haven't used actual charcloth to light a fire for months. I gravitated away from it but the same couldn't be said of the MP knives striker. Darn nice kit item IMO however marginal/older firecraft methodology shouldn't replace modern even if it can be effective. The Mora 1/0 is also a winner. Too bad it's been disconnected though a 2/0 is the same knife with a bit shorter blade. I just jammed the flaming tinder bundle into the top port. 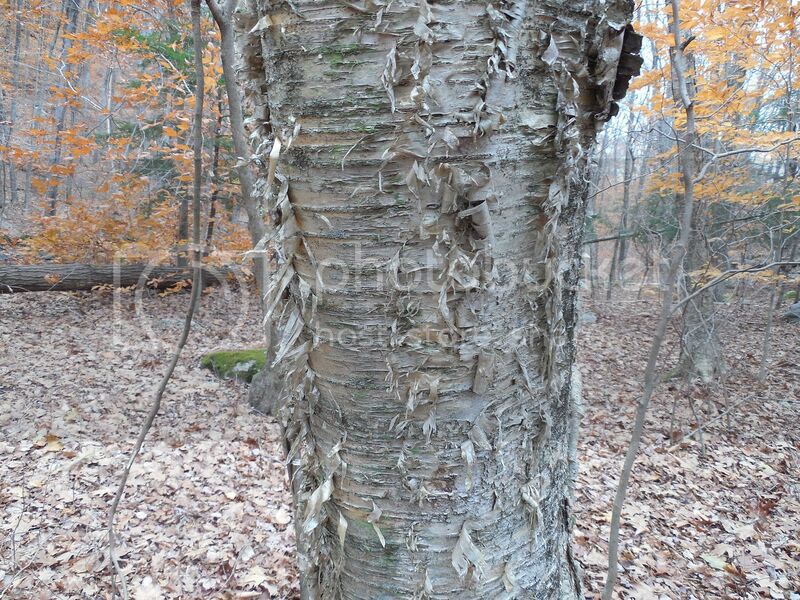 The Yellow birch bark took off fast. Success. Here is a short video of the horse and pony show. This is actually part of a larger field testing video of the stove to supplement my initial impressions review which will be added to this thread soon. I don't know how many times I've said it but you're an inspiration! 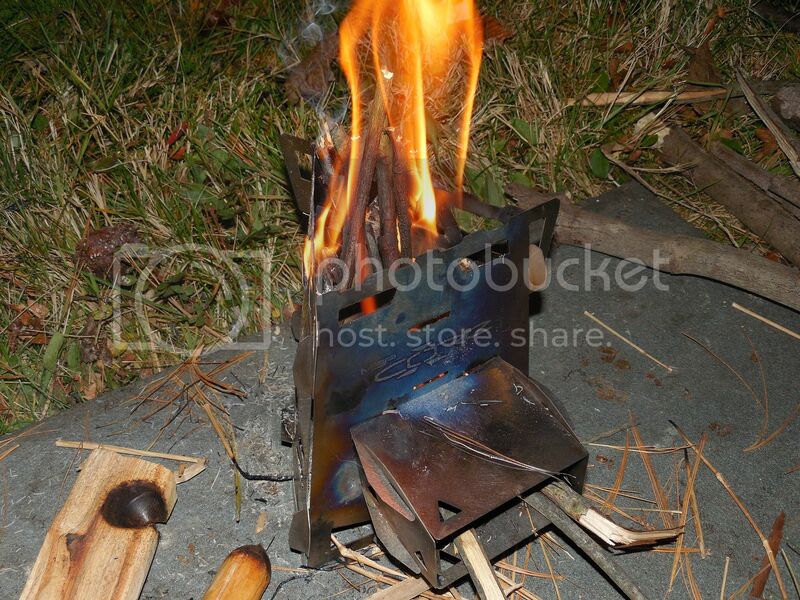 I mean you are more effective with a flint and steel with charcloth than I am with a propane powered torch! LOL I really need to up my game! I want a Woods Walker Fathead for Christmas for the man cave! Ultimate Ti with SHTF grill ordered. Woodswalker helps me spend money. Halfapint wrote: I don't know how many times I've said it but you're an inspiration! 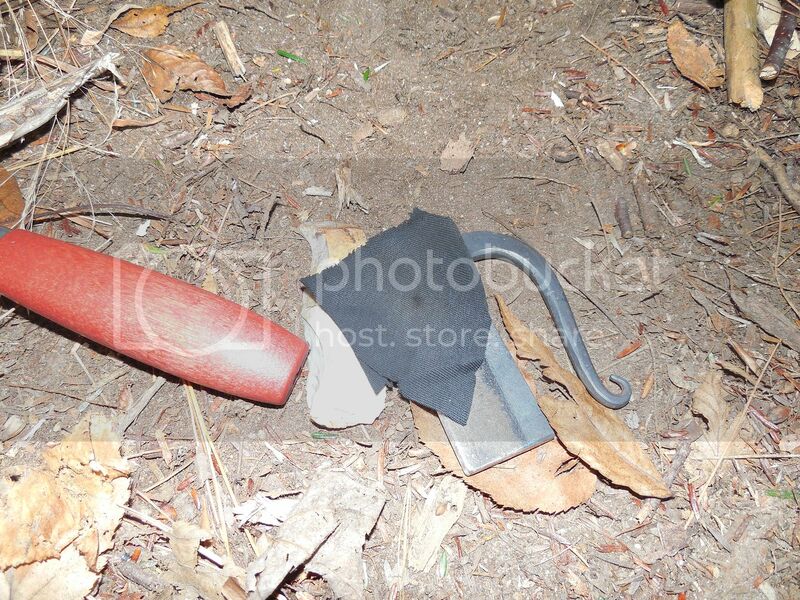 I mean you are more effective with a flint and steel with charcloth than I am with a propane powered torch! LOL I really need to up my game! When the ingredients are great even a blind chief can bake a good cake. Trust me. Over the years I had my share of not so fantastic firecraft moments. The striker is top quality Aldo 1095 deferentially heat treated by a very good smith. The Chert (flint type rock) was given to me by Regulator. The charcloth was was cooked to perfection. The mullein was picked an hour before and it's pith bone dry. Even the grass was reasonably dry. The Yellow birch bark was harvested just before fishing. Flying Lead wrote: I want a Woods Walker Fathead for Christmas for the man cave! 50 Mission Cap wrote: Ultimate Ti with SHTF grill ordered. Woodswalker helps me spend money. I am still working on the original field testing video but had an hour or so to burn pun intended. Wanted to test out another configuration. 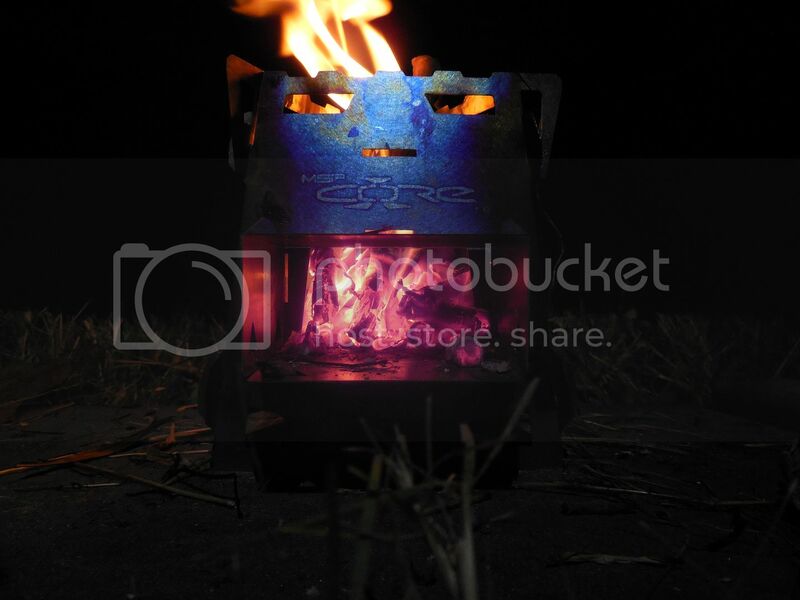 To be honest the multi mode aspect of the Core stove brings out the testing nerd in me. So here we go! Core 3 setup with two afterburners and rocket port. Yes those are Eastern white pine needles stuffed in the stove and no I won't be using a Bic to light them. Sycamore fireboard and willow spindle. Two of my favorite friction fire woods. 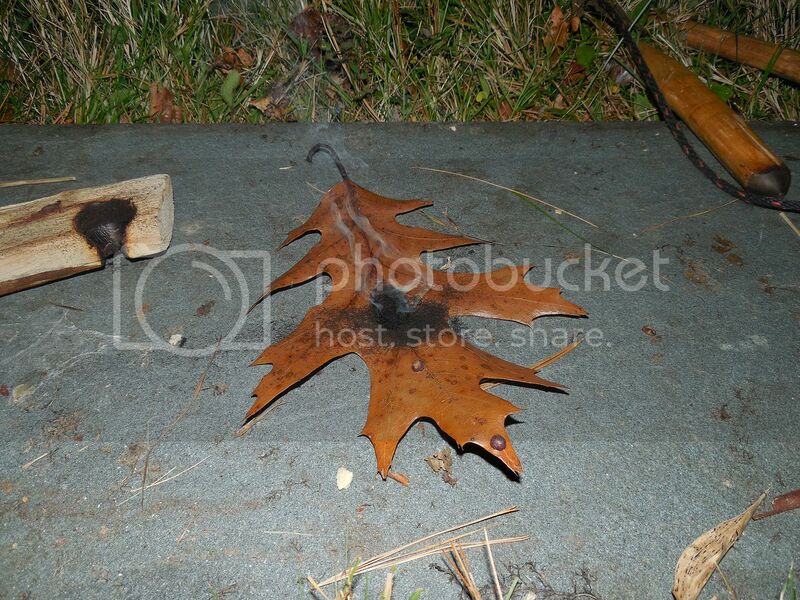 About 15 seconds later we have a nice coal resting on a Red oak leaf. Sat back to let the coal solidify for lack of a better word. Started to see some red and knew the time was near. Seems like one has all the time in the world. No need to hurry. 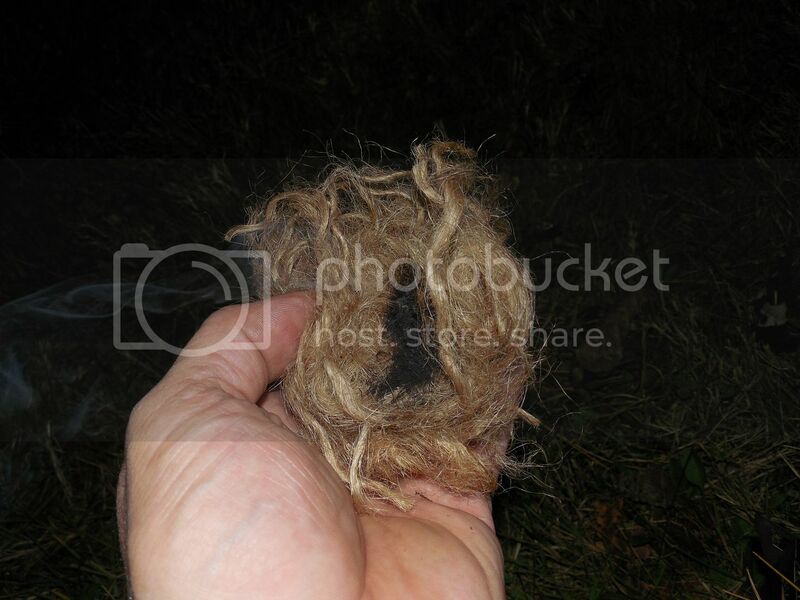 Into the jute tinder bundle with yea. Blew the coal into flame then tossed the bundle into the stove. After that added a bit more pine needles then pencil thick sticks. There was a little more pandemonium than using a lighter but it worked. Opps I overstuffed the firebox on subsequent refueling. The firebox in this mode is so small when using the afterburners. Wasn't long before stove flamed up. 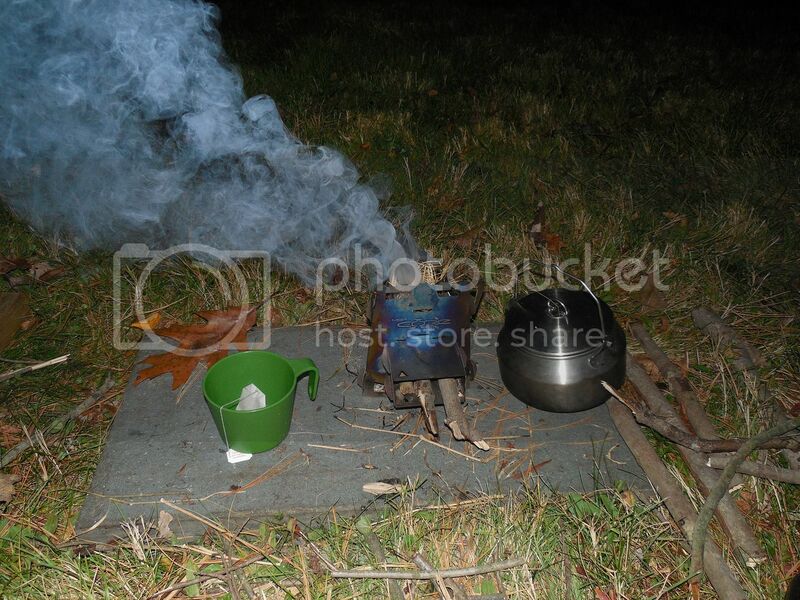 Time to boil water for tea. 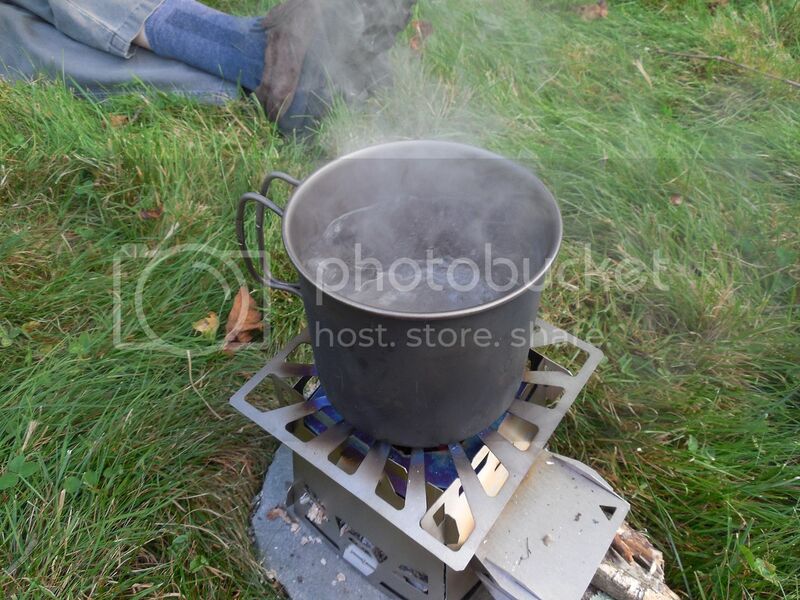 Everything was damp and with the smaller firebox boil times seemed to take a good deal longer than when in full Core 4 mode. I didn't bother to take actual times as the job got done. That's one pro of a wood stove, yea don't feel under the clock. The afterburners did produce some gasification and reburning however it seems less prevalent than in the Core 4 or Core 3 with a full set of afterburners. Some of these flames are being admitted via the afterburner ports. I am starting to like the rocket port. I think in the future forgoing the afterburners in this mode might be adventitious to increase the available firebox room and drop some weight. I should test out the Core 3 using wood pellets in full wood gas mode to see how that works out. So far having a good time working with this stove. Here is the full video/report I promised of field testing the Core 4 setup in all of it's glory. 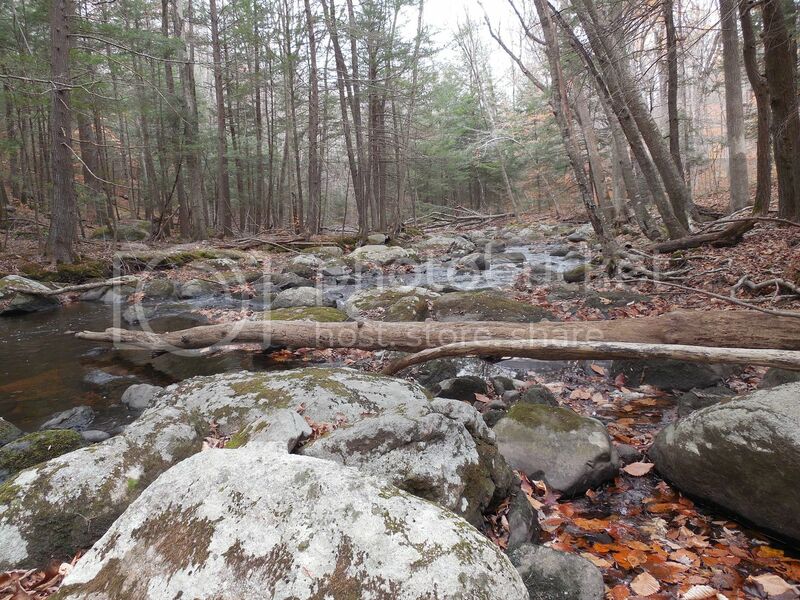 Given that this is a field test goes without saying it was done in the woods. All packed up with my please don't shoot me hunter orange vest which I use for hunting myself. Got the tenkara kit as well. I really like late Autumn. 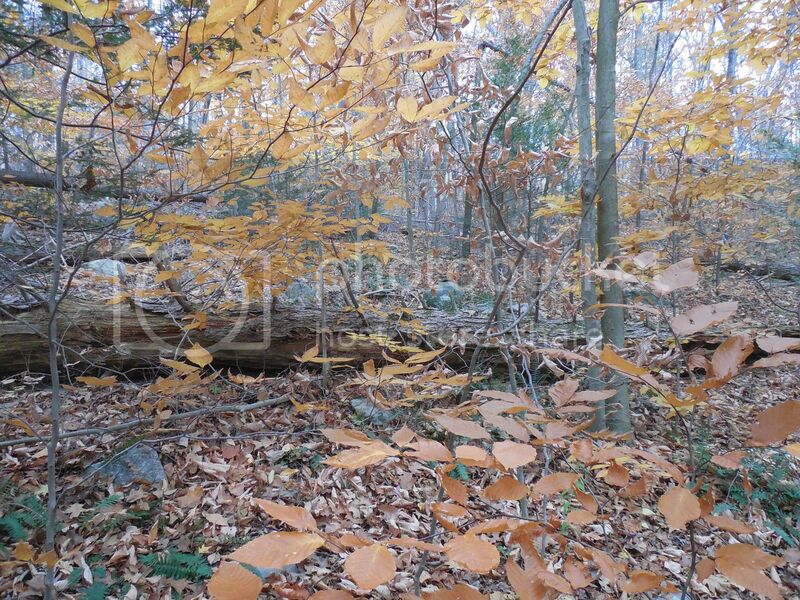 It's the time when the reds from the Swamp maples are fallen leaving only golden browns and yellows. 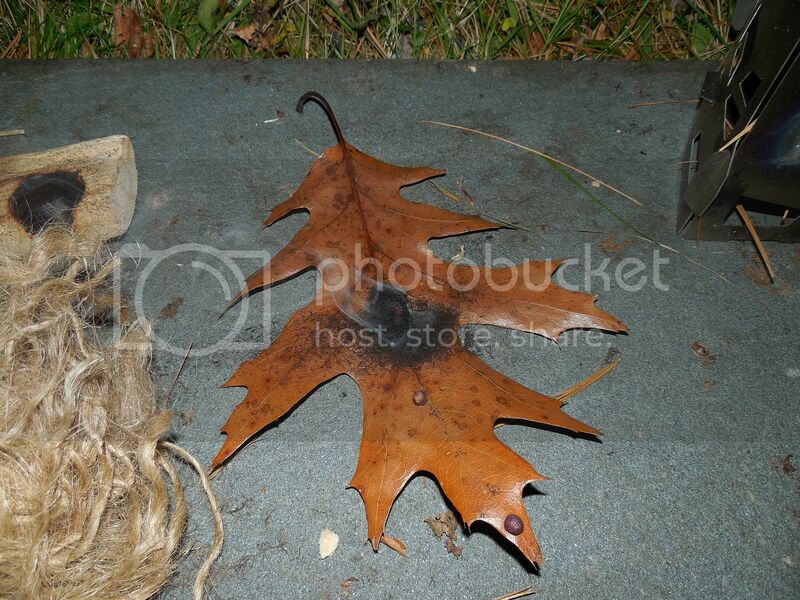 Also a perfect time to have one's foot fall into leaf filled holes and crevices. Don't forget the late season ticks! 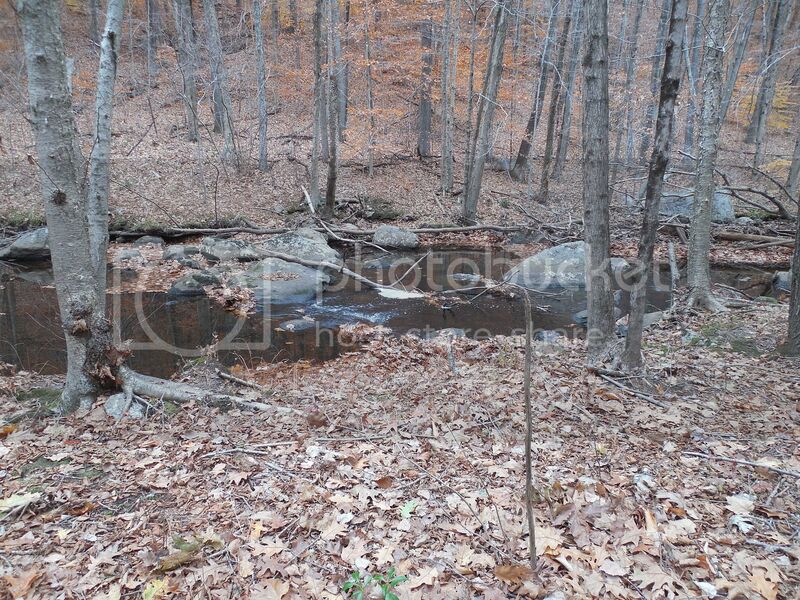 Darn water looks low. I was hoping for a naturalized brown. Seen a few trout rising for something.... Not sure what but something so tried a dry fly. With the water so low the fish were easily spooked. 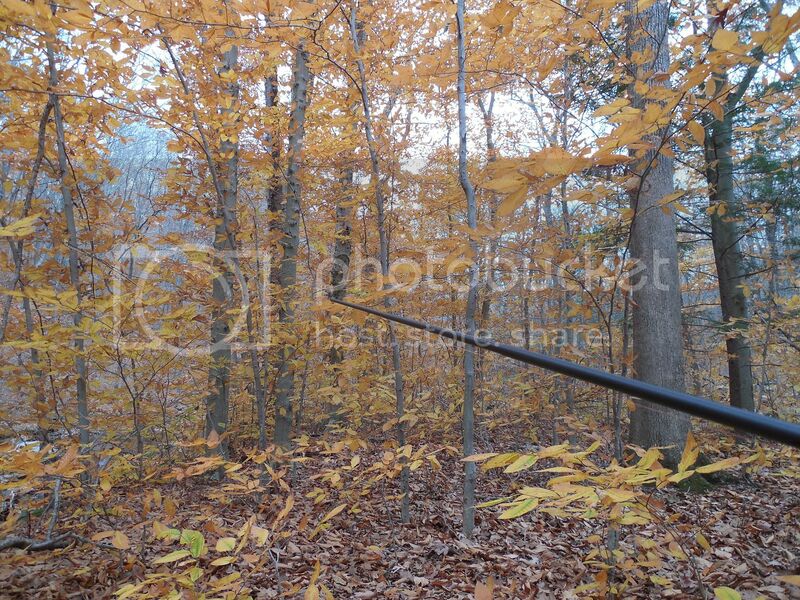 These guessing beechnut saplings played havoc with my rod. 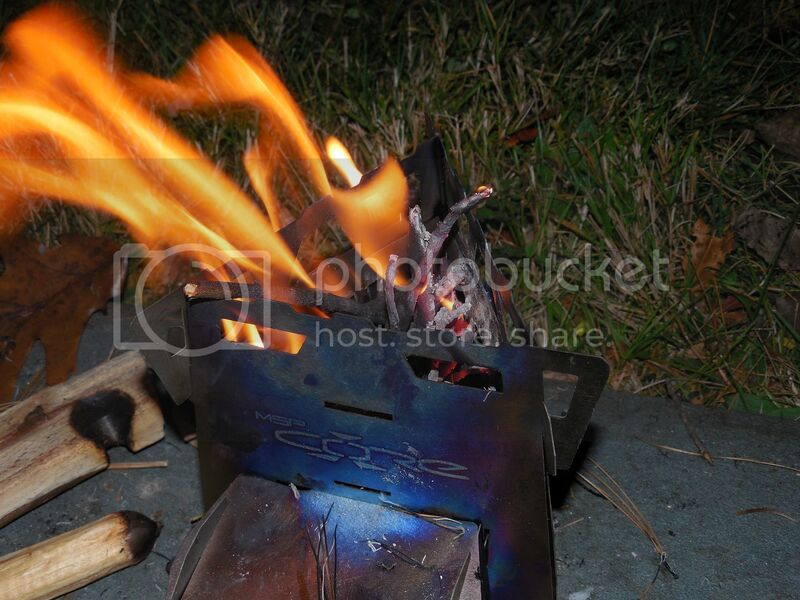 Started the fire using traditional Flint and Steel which was already shown in greater detail. I was still feeling a bit down over catching no trout but sometimes that's how it rolls. The water boiled very fast so I didn't have to wait for my coffee not that there was much else to do. 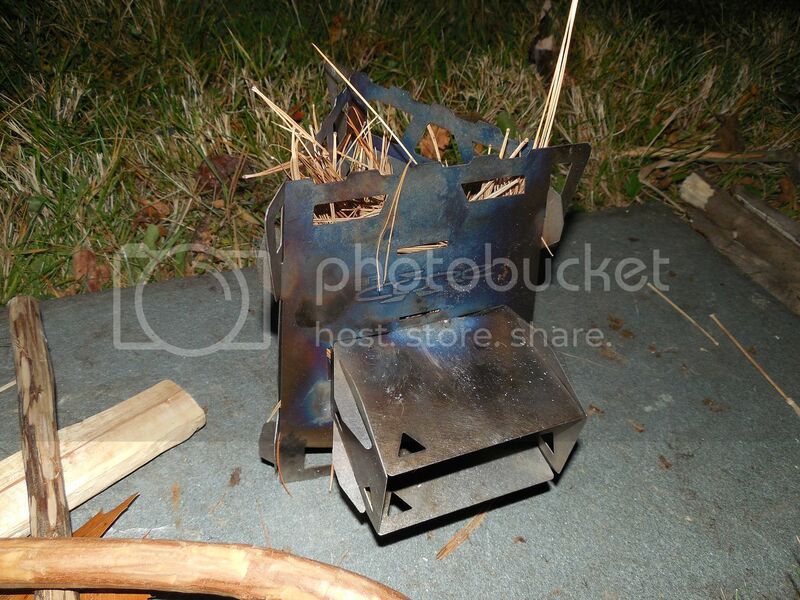 The stove made for a nice campfire/scoutfire replacement. There was some wood gasification and reburning going on in this mode. Not total like sometimes is the case with a pure wood gas stove but it was present and did increase efficiency of the burn IMO. Here is a video of the field testing. Thanks for looking. They are currently running a "Merry Christmas Sale" on their website. The CORE 4 Bio-Reactor Stove - Ultimate Ti is $58.95. After reading Woods Walker's reviews, I couldn't help but get one.